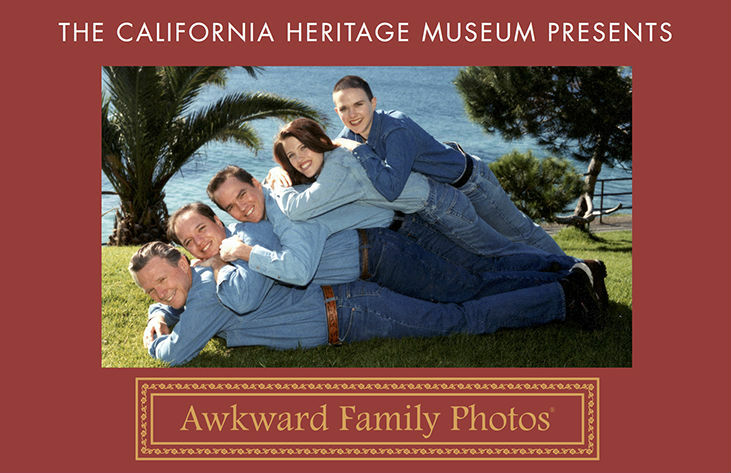 This month the California Heritage Museum in Santa Monica opened its latest temporary exhibition, “Awkward Family Photos.” It features some of the best images from the website of the same name, which encourages its users to give a self-deprecating glimpse into their family photo albums, by submitting pictures of themselves and their kin in a variety of absurd and embarrassing poses, outfits and locations. 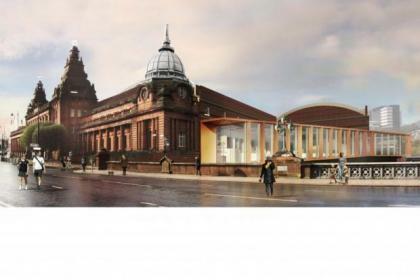 At first glance this seems like an unusual move for an institution whose previous programming has featured celebratory exhibitions of both historical and contemporary local art and design. At “Awkward Family Photos,” there are no famous names to seek out (yet), no technical skill to be admired and little to learn from other than what should really be an unnecessary insight into how not to document your household in a manner that makes the Lannister family look functional. There is no learning to be sought here, only laughter, begging the question of whether such an exhibition truly belongs in a museum at all. Heritage this undoubtedly is, but cultural heritage? Maybe not. Closer inspection however reveals this to be a particularly shrewd move from the Santa Monica museum. The exhibition has already attracted worldwide attention, I read about it in the newspaper here in Glasgow. Undoubtedly this is somewhat of a coup for the institution. The logic is simple; give people something they feel comfortable with, then progress them onto something more challenging. Having paid the entry fee to the California Heritage Museum, one would assume the visitor would be inclined to glean as much value from their trip as possible by taking in the other exhibits on offer. The reason one assumes “Awkward Family Photos” presents a comfortable entry point to a gallery is because it is literally a physical manifestation of a Buzzfeed article, and you would consider it a safe bet that the majority of the 1.23 billion users on Facebook are familiar with those. Indeed, one might assume they may also be familiar with the sight of multiple additional “to-read” articles in a queue of tabs in their web browser that Buzzfeed seems to so easily manipulate their users into compiling. Is it too much of a stretch to consider that visitors may take the same approach to seeking out what else the California Heritage Museum has to offer? 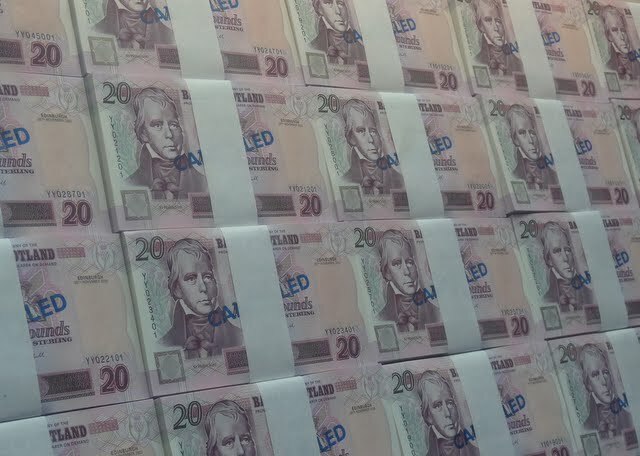 The sad truth is, many people these days do not even consider spending time visiting museums and galleries. They feel like the content isn’t “for” them, that they’re “not smart enough,” or that they simply believe they will be bored. The positive truth is however, that many of these people visit galleries every day, online, in the form of websites such as Buzzfeed, Tumblr and Pinterest. The “Awkward Family Photos” exhibition has taken a tentative yet important step towards helping people make that connection, and it will undoubtedly attract visitors who would likely not have considered spending their free time there before. I am not for a second suggesting however that every museum should have a gallery of pictures of “27 Cats Who Think They’re Dogs” or “19 Childhood Actors It’s Ok to Fancy Now They’re Older” in order to convince people to visit and then explore their collections. 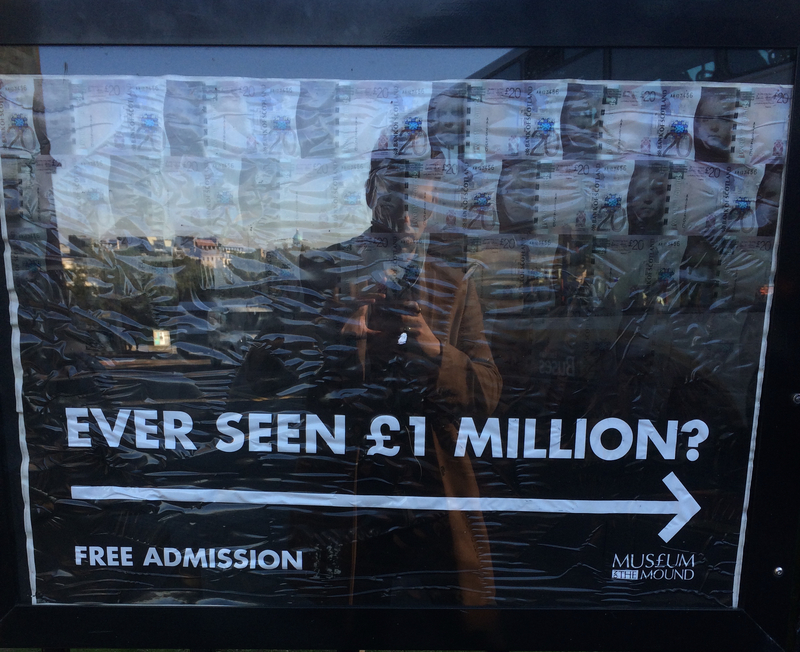 That would insult people’s intelligence, and those exhibitions certainly do not belong in museums. Why not go one step further then, than the California Heritage Museum, and target a pre-visit audience, with content they feel comfortable with, from the comfort of their own home. Most if not all visitors to a museum these days will browse its website before arriving, and museums need to recognise this, and take advantage of it. In the past, I, as I’m sure have many others, been drawn to an unfamiliar subject simply by the goading language of an article’s title. I have no doubt that people could be similarly inclined to browse pages called “Salvador Dali artworks that will alter your perception of reality,” “Jack Vettriano paintings that will get you hot under the collar,” or “Gaudi architecture that will make you want to move house.” You do not need to give away the whole exhibition; people will always want to see more, the proof is in the practice.